Back in January, I was home 9 months pregnant with my feet up on the couch perusing through my emails.. junk junk junk, delete delete delete, for whatever reason I stopped on this one. 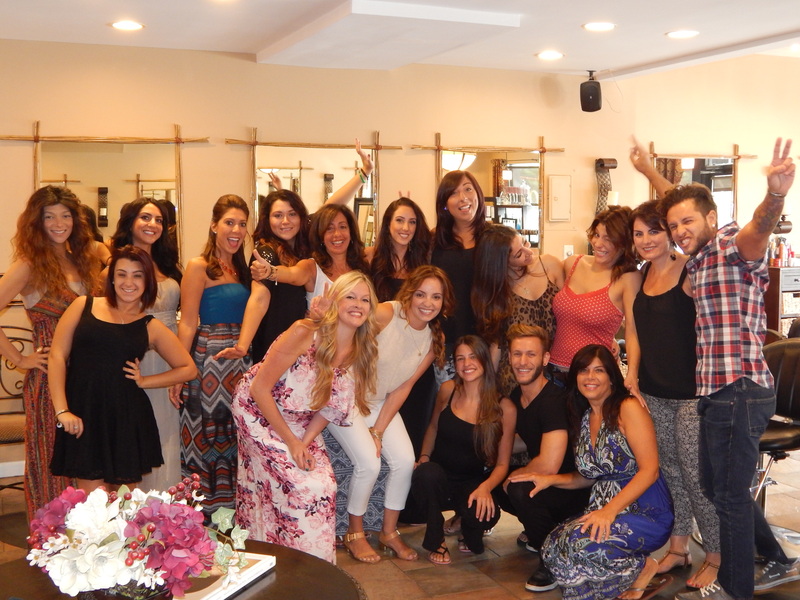 It came from Modern Salon Magazine, a publication of theirs, Salon Today Magazine, was hosting a competition. A chance to win a Total Salon makeover. Hmm, “wouldn’t it be amazing if we won”, I thought to myself, as I read the prize package of over $30,000 worth of education, products, and salon furnishing (furnished by Keratin Complex, Takara Belmont, and STX Salon Software). To enter I had to write an essay demonstrating a willingness to learn and grow, and the desire to take our business to the next level. Fast forward to August 2014, the phone rings and it’s Stacey Soble, editor-in-chief of Salon Today Magazine, “we have chosen your salon as our winner.” WE WONNNNNNNNN!!!! what?!?! I still can not believe it! The prize package includes $10,000 worth of products and education from Keratin Complex, $10,000 worth of salon furnishing from Takara Belmont along with interior design services, an iMac desktop, iPad Mini, along with new software and educational support from STX. The phone calls and emails started rolling in almost immediately. Connecting and speaking with people I would have never had the chance to meet or talk to otherwise. It has all been thrilling. The opportunities and doors this is opening up for us is truly a gift. We are so blessed to have been chosen as the recipients of this award and are going to utilize everything offered to the fullest of our capabilities. My mom, Caryann Concilio, owner of Bamboo Salon, opened the doors in September 2003, with little experience but a ton of heart. She turned an old broken down store into a beautiful glimmering Salon. She had a vision and brought it to life. After 11 years, there is wear and tear on the business inside and out. We have a wonderfully successful business and have learned a lot over the years to say the least. As for the years ahead, we face it with a new vision, for a new and improved Bamboo Salon. This is a turning point in our journey and will define and shape us for years to come. We have an amazing team of hard-working, passionate, and talented Stylists behind us and coupled with the support from the sponsors of the contest I know we are going to grow and go very very far. Follow our transformation over the coming months!! Stylist Tip: When moving on to the next section, include a piece of the previously dried section. 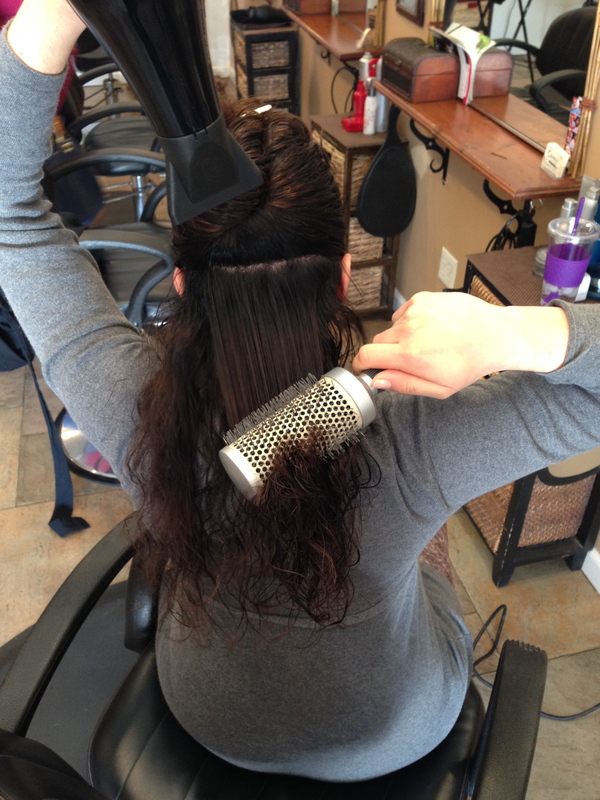 The dry hair will help the brush glide through the hair more easily. Step 4: As you work towards to front of your head, you will find more cowlicks and whirls in the hair. In order to combat these whacky waves, if you blow dry the hair in one direction, be sure to blow dry the hair in the other direction as well. 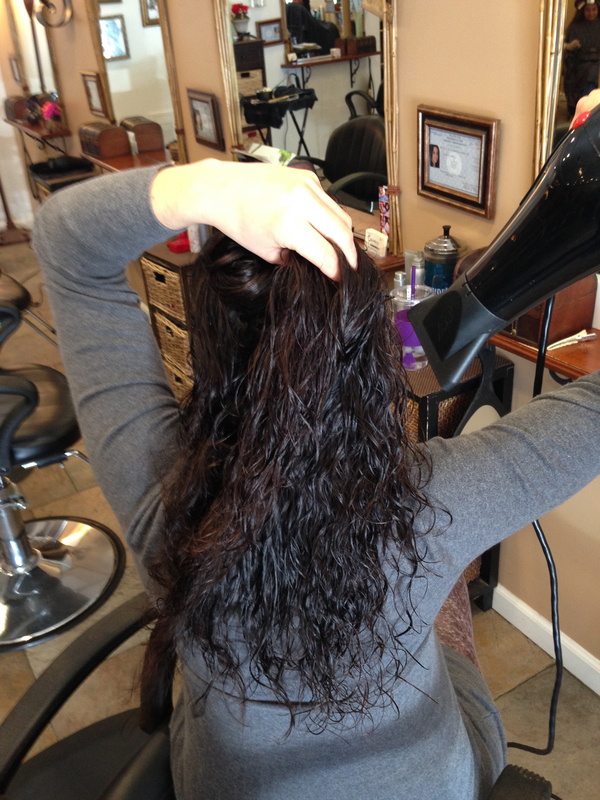 This back and forth style of blowdrying will help to smooth the hair out and help it lay more naturally. Step 5: Once hair is completely dried, use the cool setting on the blow dryer with your hands and just quickly run it through your hair. This will lock in the style you’ve just created. Step 6: Finally, take one pump of your favorite finishing oil and working from the ends up, run through your hair to smooth away any frizz. 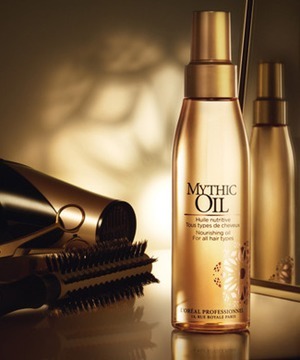 We love Mythic Oil by L’oreal Professional! The beach, the cool ocean breeze, the smell of salt water, skin that glows, ahhhhhhhhh. Not only has the warm summer sun left us, but apparently our hair’s sanity has too! What’s with all the static?! The air is cold and dry outside, warm and dry inside, and where does that leave us? With hair standing on ends!! Going from one extreme to the next hot to cold, cold to hot, generates static in the hair which we all know can be pretty stubborn and unruly. How do we rid our hair of this clinging mess? You have probably heard the one with the dryer sheet, rub one across your hair and you are set free.. Your locks need extra love in the winter. more for our hair. Up your hair regimen to include a slightly heavier shampoo and conditioner. A personal favorite of mine is the L’oreal Professional Vitamino Color Shampoo and Gel Masque. You may even try opting for a sulfate free shampoo, like L’oreal Professional Delicate Color, which tends to smooth out your locks more so than a regular shampoo due to the lack of sudsing agents in the shampoo. If you don’t already use one, when you come out of the shower, blot your hair dry with a towel, and apply a dollop of leave in conditioner. I love the L’oreal Professional Vitamino Color Care Leave-in Condtioner. Loaded with nutrients and designed for color treated hair! Use some type of ceramic round brush to dry your hair, as doing this will further help to smooth the cuticle out, thus eliminating frizz. Finally, finish off with a few drops of light oil or polish. Always working from the ends up. It’s all you hear lately. Oil this, oil that. Moroccan, Argan, Grapeseed, we can’t get enough! At home remedy lovers rejoice over mayonnaise and olive oil. But what really works when it comes to these Oil based products and what can we let slip through our fingers? There is a simple test you can do at home to see if what you are using is the real deal or a real dud. Pour 2 ounces of luke warm water in a glass. Add to this 2 drops of your favorite Oil product. Revisit this after about an hour. If the Oil has separated from the water and it’s just floating on the top, well then you’ve got a dud. If the oil and water merge and coat the entire glass you’ve struck gold! And by gold I mean, Mythic Oil by L’oreal Professional. Let me embellish a little. This is the most luxurious hair care line to hit the market in recent years. From the packaging down to the nitty gritty of how it is made. To sum up for you, the Oil is grape seed based which means its molecules are small enough to slip into the Cortex, or inner part of your hair. Therefore, these products don’t just lay on the surface of your hair, they actually penetrate deep within. There is a home care line and an in salon Treatment Bar. 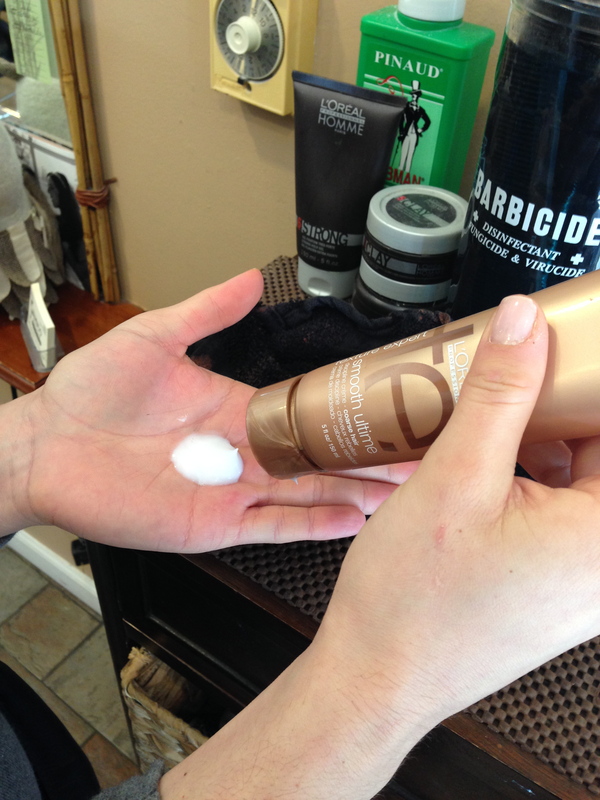 At the treatment bar, your stylist will cocktail up a treatment that fits your hair needs. At home care includes a Shampoo, Conditioner, Masque, and 4 different Oils to use as styling agents. The Mythic Oil in Salon Treatments are just to die for. They not only nourish the hair, they stimulate circulation in the scalp, and remove excess build up. The treatment involves 3, count em, 3 different scalp massages. Which are stimulating, invigorating, and revitalizing. The benefits of these treatments reach far beyond conditioning the hair. Stimulating the scalp encourages good circulation which in turn promotes healthy hair growth. Sounds too good to be true? It isn’t. The treatments and the home care line are absolutely luxurious. Indulge in one of these treatments and you will leave the salon feeling pampered like the queen you are. Looking to thicken or lengthen your hair? Or maybe both? Hair Extensions are a great way to achieve thicker, fuller, longer hair. But with so many options, where do you begin? There are many factors to take into consideration when deciding if Hair Extensions are right for you. Follow my tips to find out what is right and what is oh so wrong. What specifically bothers you about your hair? What results are you looking to achieve. Are these realistic for your lifestyle? 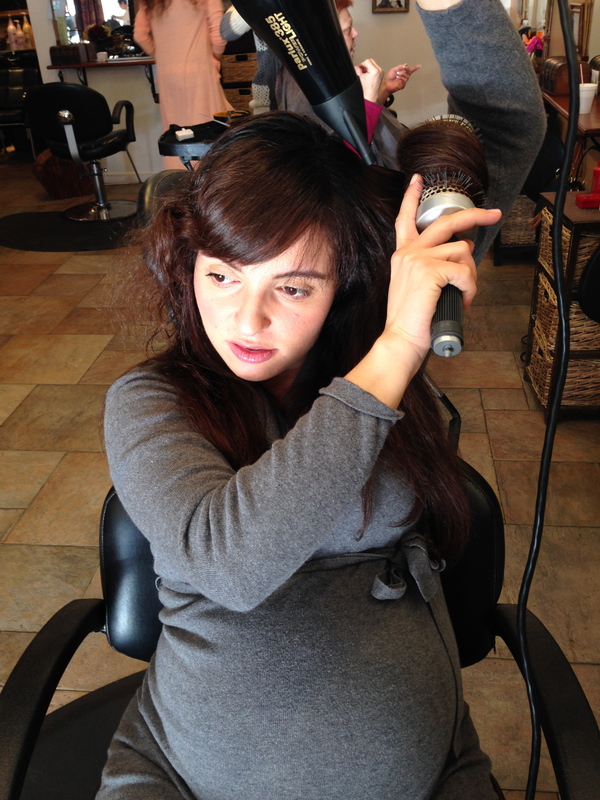 Are you capable and ready for the maintenance that comes with most semi-permanent Hair Extensions systems? If you had clear answers to these questions then you are ready to take the next step and schedule a consultation with your Stylist. If your stylist is not an Extension Technician, find someone reputable that is. Ask for before and after pictures and any and as much information on the system they use. In my opinion, it is best to stay away from systems that use heat. This means any application that involves a tool that needs to be plugged in. 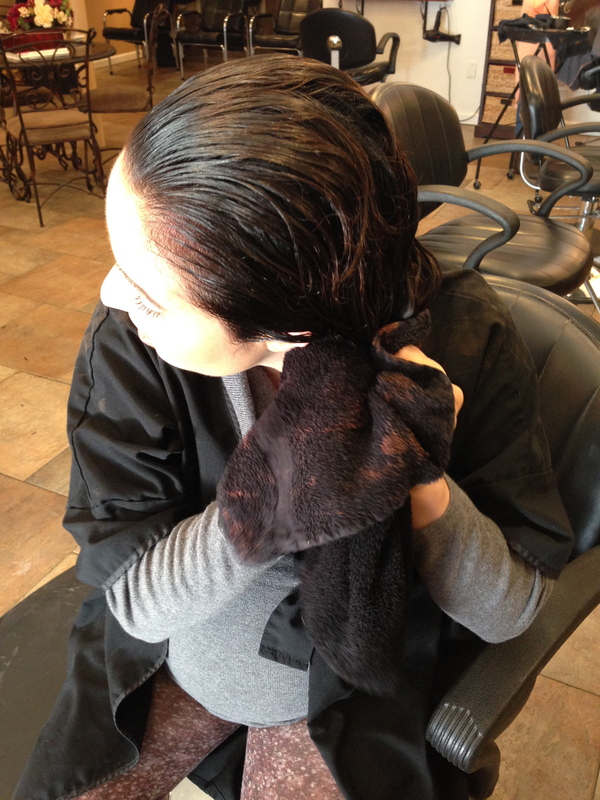 Often, a “keratin bond” attached to the end of an extension strand is melted around the tiniest piece of your own hair. Now, in the hands of skilled Extension Technician you will most likely have no trouble as far as damage goes. However, the opposite is also true. In the hands of a reckless stylist, disaster can strike. Also, be wary of Stylists/Salons offering these services at a discounted price. You truly get what you pay for when it comes to this service. If you want quality in your Stylist and Product, chances are you will be paying for it. If answering those questions made you realize you aren’t ready for extensions, there are other alternatives. There are tons ofgreat clip-in sets, ponytails, and hair pieces that can enhance your hair, without the commitment. These will usually stay in your hair for a day or two and require little to no brushing and washing. You can find these at your local beauty supply store and in some salons. Like all things, everything in moderation is best. Even if you decide a semi-permanent system is for you, give your hair a break every once in a while. They usually last about three months and then require maintenance. After six-nine months of having your extensions in, leave them out for a month or two. In my experience, the current product that I am using now is the best system I have ever worked with. It is basically a three inch wide piece of hair topped off with a strong hold double-stick tape. They are truly seamless. Gentle application and ever more importantly, gentle removal. No DAMAGE whatsoever. Trust me, I have had many unpleasant experiences having worked with and been theguinea pig with other systems. (More than I would like to admit.) However, it comes with the territory! I am always one to test on myself before using a product on my precious clients. If I don’t love the product and the result, no way I am using it on anyone else! peace, love, and great hair.